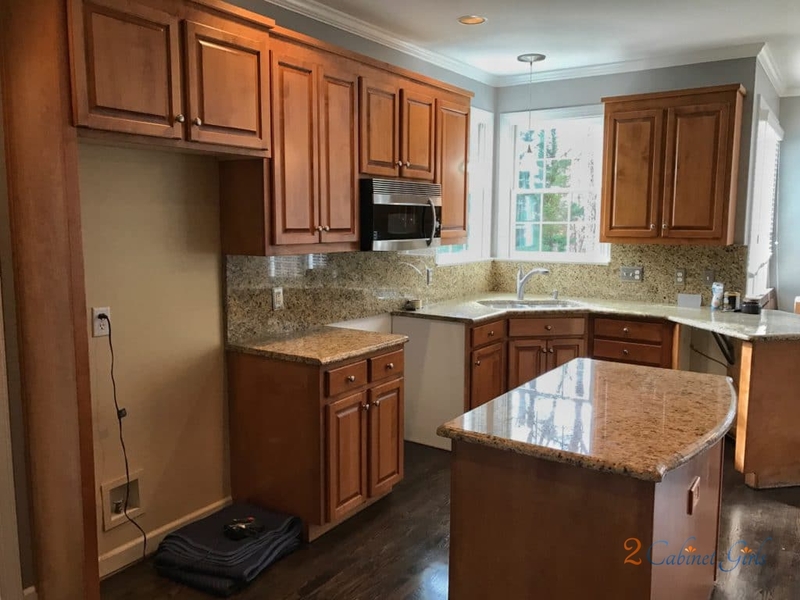 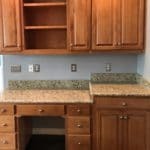 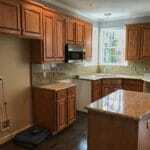 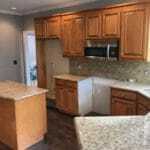 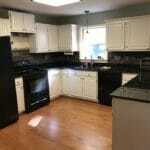 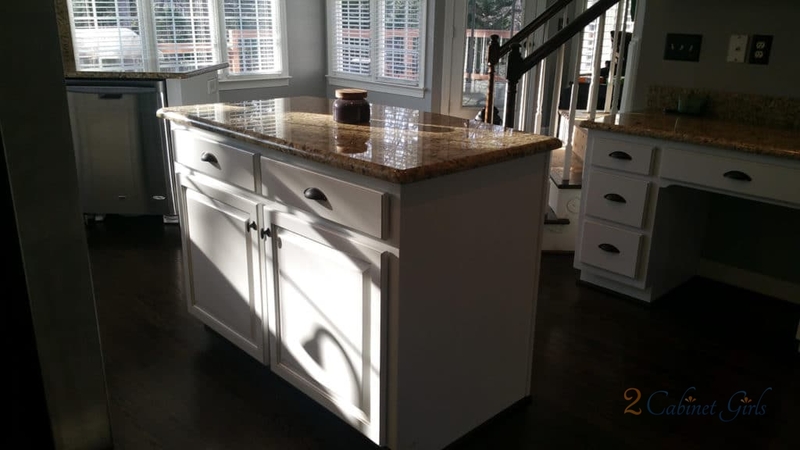 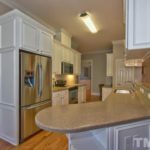 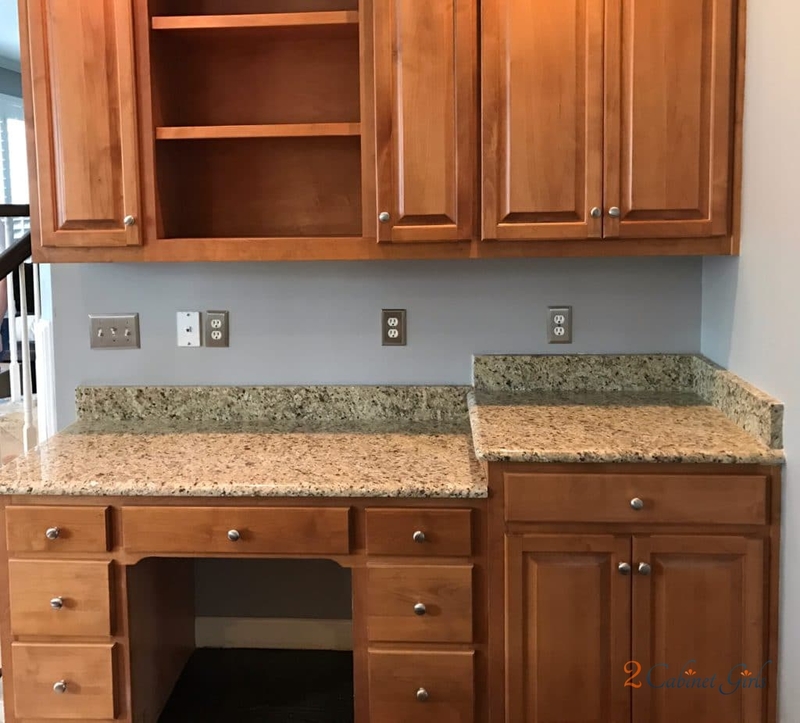 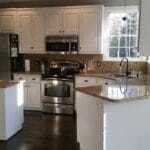 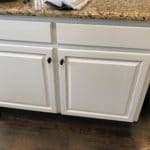 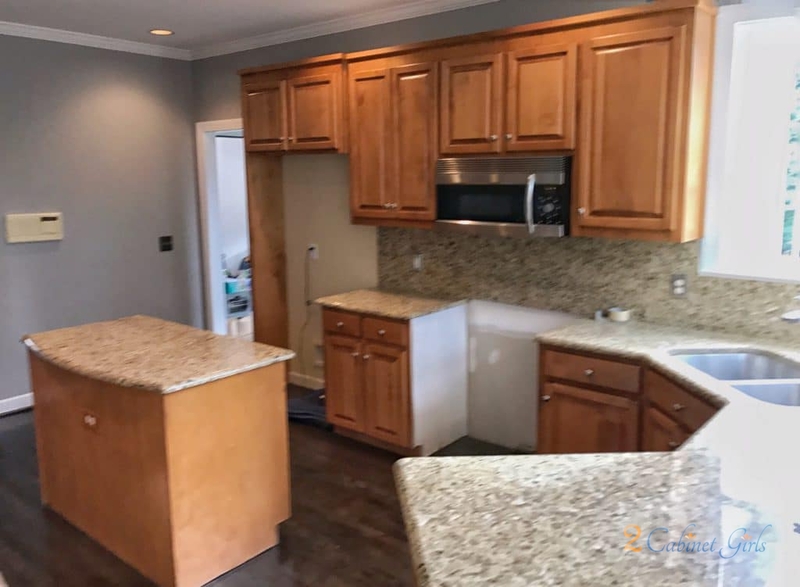 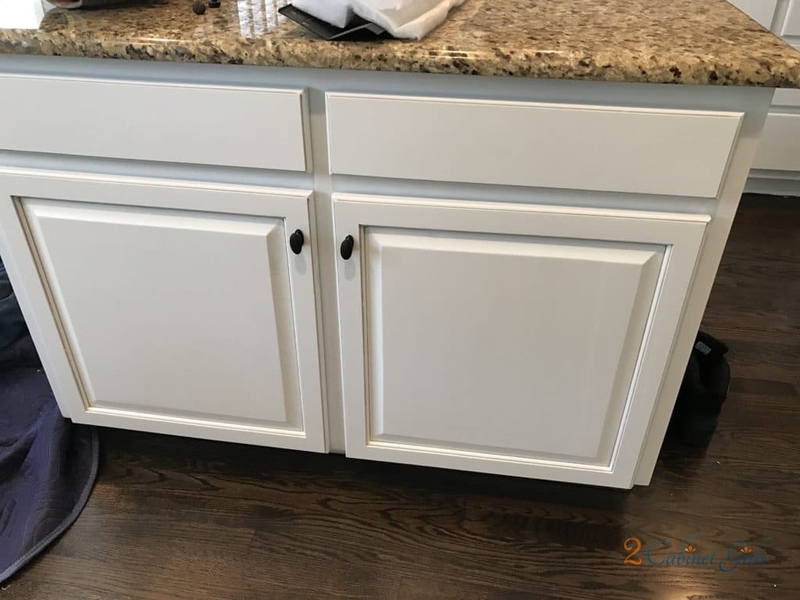 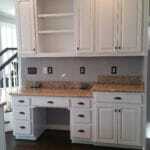 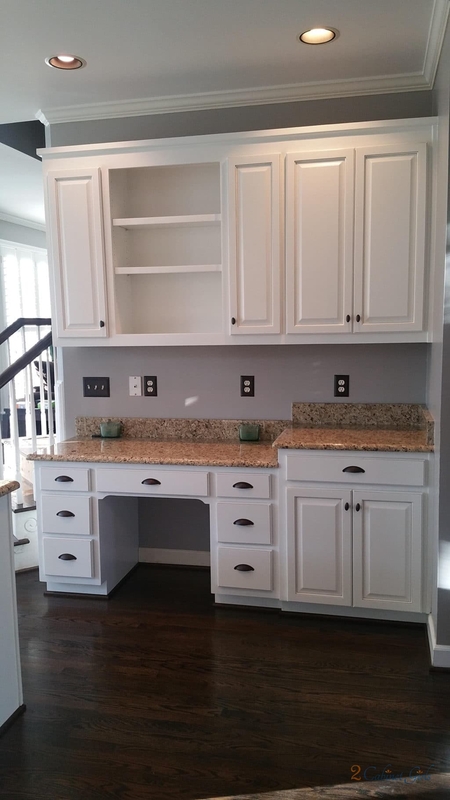 The transformation of this kitchen is absolutely unbelievable. 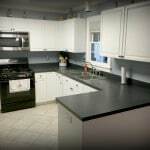 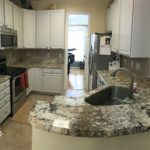 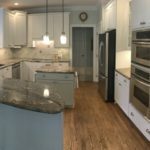 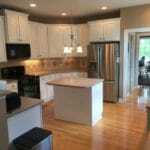 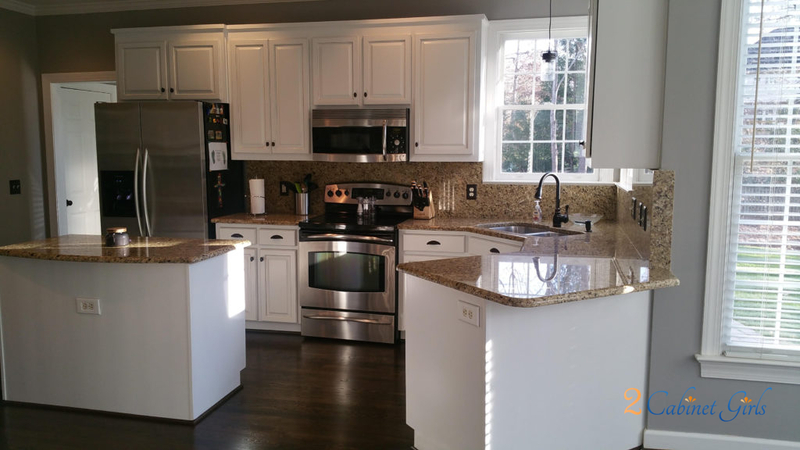 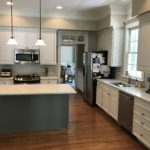 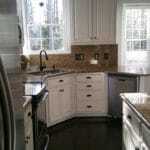 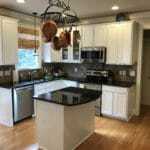 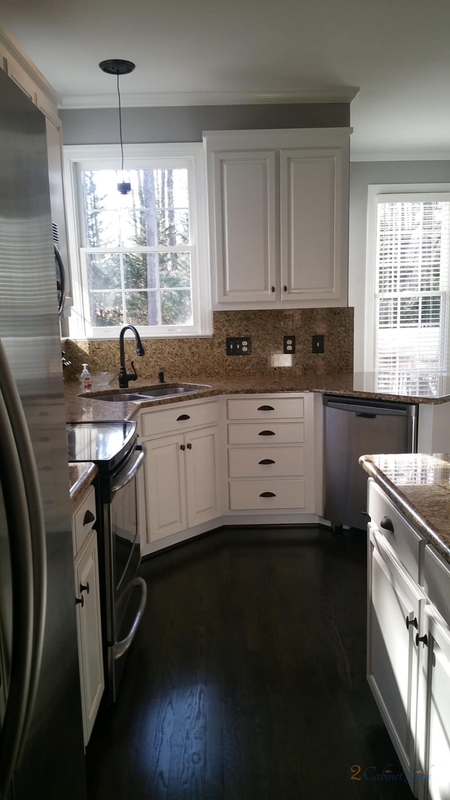 It went from a totally blah and boring space to a fresh, modern and custom looking kitchen. 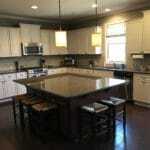 Who wouldn’t want to make some amazing meals in here?! 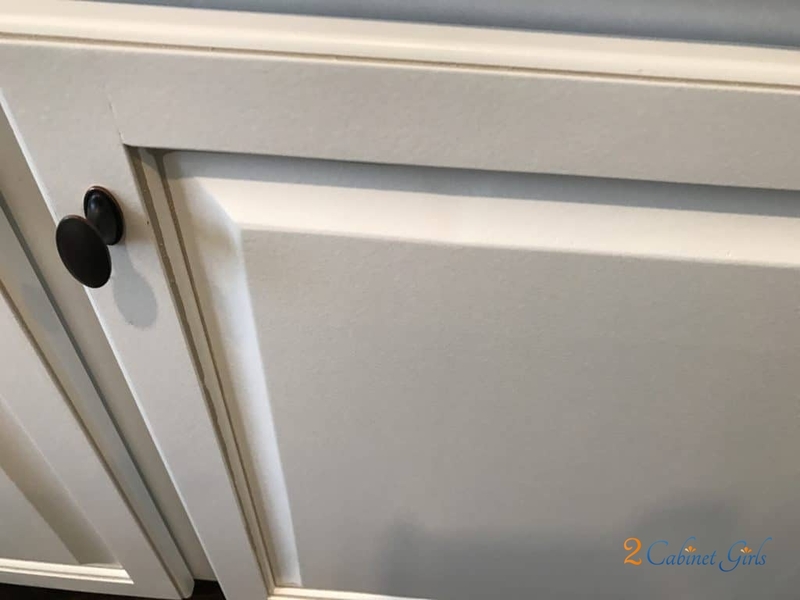 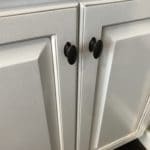 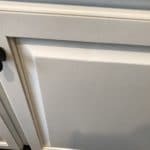 We used Sherwin Williams’ brightest white – called Extra White, and then added a triple pinstripe in SW Anew Gray. 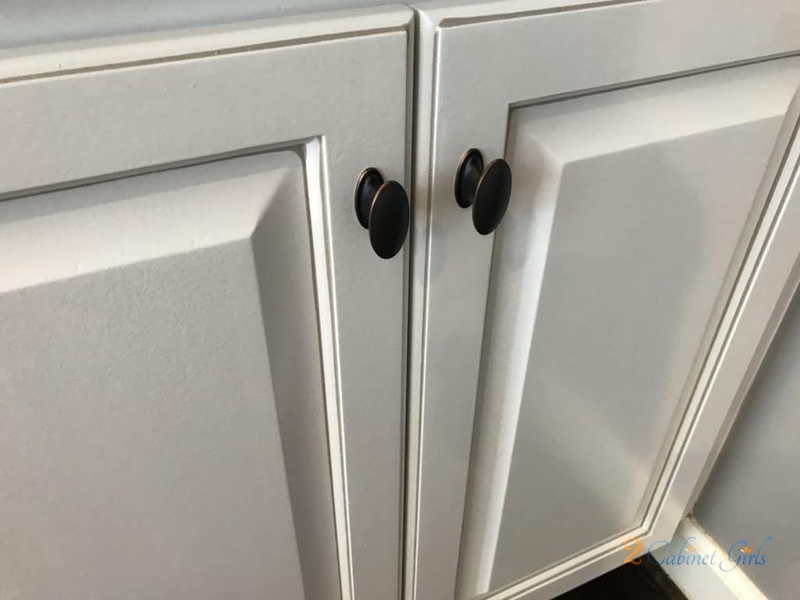 It’s not really a gray….more of a taupe shade. 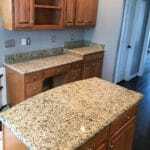 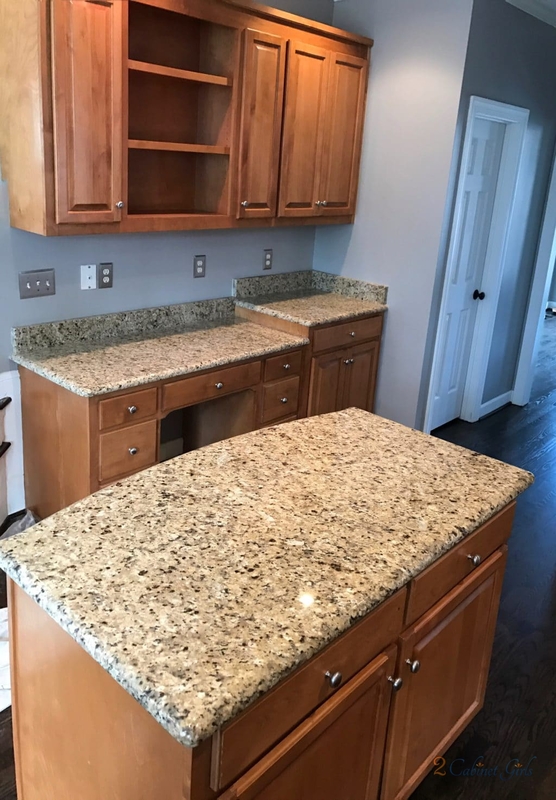 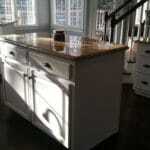 It ties in perfectly with the brown and taupe shades in the granite!